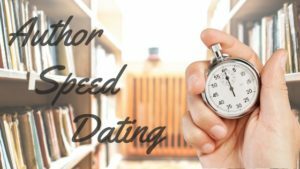 Thanks so much for having me on author speed dating, Dana! It’s so lovely to be here! You’re welcome, Claire! I love hosting authors, particularly my Superromance sisters. Loved your speed-dating questions. This is an amazing series of books and I was thrilled to get to read and review them!! Ready for more!! Thanks for the opportunity!! Teresa, you are the best! I so appreciate you stopping by to check out my speed dating efforts. And thank you for reading my books. It is so amazing to have readers who take my stories into their hearts and imaginations! Looking forward to Return to Marker Ranch and loved the questions and answers! Thank you, Jean! Dana is a great interviewer! Thanks so much for coming by today! Claire, what a fun interview. I think we must be secret sisters. Heights are a big no-no for me and I’m not into violence much either. Your new book sounds great. Stephanie, we must be! Thanks so much for stopping by and speed dating with me today! The Bachelor is my secret shame show. I watch and laugh. Sometimes I count the amount of times the word “like” is said just for kicks. 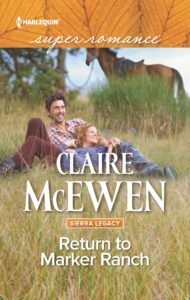 Claire, the excerpt from Return to Marker Ranch hooked me right away ’cause, you know … ranches = cowboys! And bad boys = well, I’ll keep reading and find out, I guess. So happy to meet a new (to me) romance author. Thanks, Dana, for the intro to Claire and her books. My Kindle is charging now in anticipation of a busy shopping spree. So nice to meet you, Loralee! I’m glad the story looks good. I loved writing this one so much. 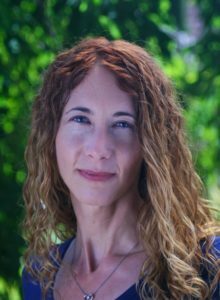 And thanks again, Dana, for inviting me onto your blog.